but got some errors. I suppose that it is possible to set it up but don't really know where to look first. Would be great to figure this out since the dropin UI is only available in english hence useless for non english sites. We've currently only tested the drop-in UI. Does the other method work with OmniPay? In this repo I can see similarities with the Perch code. I'll have a closer look. Do you think it could be something easy or possible to add to the shop? Everything we have currently focuses on passing the customer to the payment provider in order to collect credit card details. The hosted fields approach brings the credit card number etc onto your server and therefore opens up a host of PCI-DSS issues. Technically I think this is something we can add, but we need to formulate a way of making sure the developer understands the implications before enabling this type of gateway implementation. Thanks for your answer Drew. 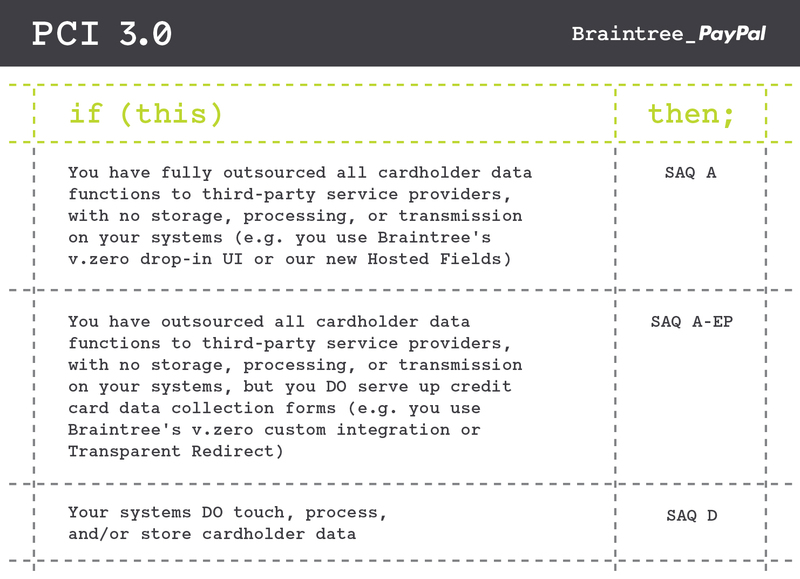 From their docs I get that drop-in UI and Hosted fields provide the same level of PCI compliance. In the case of hosted fields the cc fields are hosted in Braintree's servers and loaded through an iframe. Is there something they don't mention or I don't understand well? Ah, ok, I'd not realised that subtlety. I'll take another look.